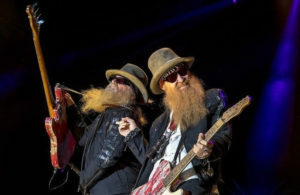 The iconic bearded rock band ZZ Top has just announced their upcoming 50th-anniversary tour. They’ll be traveling around the country with fellow rock legends Cheap Trick and Lynyrd Skynrd. Their tour will start in Ridgefield, Washington on August 16th and end in West Palm Beach on October 20th, stopping at Charlotte’s PNC Arena on October 6th. ZZ Top first formed in Houston in the late 1960s. They released their first studio single in 1969, “Salt Lick”, and their first full-length hit album, “Tres Hombres,” in 1973. The album spawned one of the band’s biggest hits of all time, “La Grange,” and it established ZZ Top as an exciting new band in the blues-rock realm. Throughout the rest of the 1970s, ZZ Top achieved one success after another and became one of the biggest acts in mainstream rock. Tickets are now available on StubHub.com and at all box office locations.